On most days at Banting House National Historic Site of Canada, I am involved in the exhibit design, graphic design or public relations aspects of museum work. All of these things play a part in creating an enjoyable and educational visitor experience. I tend to blog about this quite a bit. But what about working with the “stuff”? The old objects, the collections? This is one of the biggest reasons people love to visit history museums – to see “the real thing.” So today I’d like to tell you about how we work with museum artifacts. 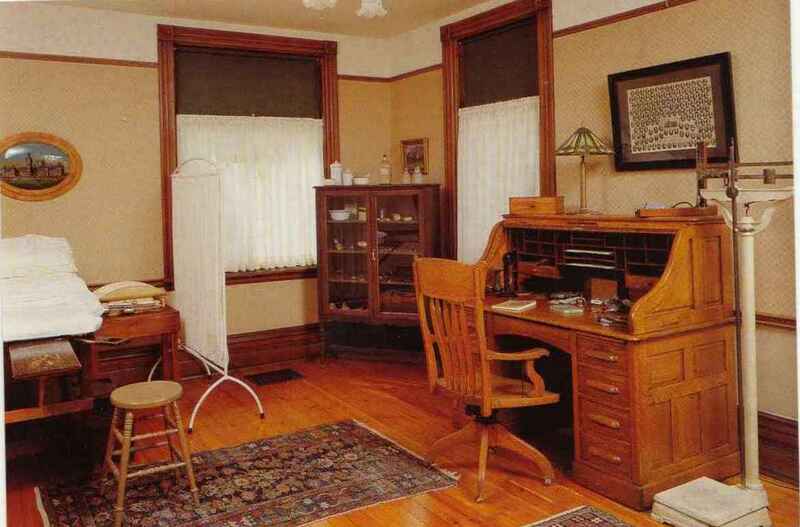 Banting House collects all sorts of items: medical instruments, furniture, photographs and letters, medals and awards, paintings, and Banting memorabilia just to name a few. Our curator, Grant Maltman, is always looking for more items to add to our collections. Each item is an important contributor to the story of Dr. Frederick Banting. When we receive something new, we take steps to make sure the item is properly taken care of. We create item records both on paper and in a digital database. Objects are typically given a unique identifier, called an accession number, which helps us keep track of it. Accession numbers are assigned using a careful system so that objects that were donated together are given related numbers. In a large museum, this sort of thing would be handled by a Collections Management department. Every item in an exhibit is carefully chosen to represent the time period. Sounds like a lot of paperwork, but what comes next? Not all the objects we receive are put into an exhibit right away – in fact, many of them are stored in our archive rooms. When it comes to handling objects, we always make sure to wear protective gloves. Cardboard or foam is often used to separate items on the shelves. Many items are precious or rare – especially Banting’s paintings – so we do everything we can to keep the items in the best possible condition. These artifacts and documents are a great source of research material for anyone interested in the history of Banting. New items may also be introduced into exhibits. There’s one “super” artifact that will form the basis for a new exhibit this spring. Can you guess what it might be? If it weren’t for our collections, Banting House as you know it would not exist. The acquisition, conservation, and exhibition of Banting-related artifacts is what helps us immerse visitors in the history of Banting’s life and legacy. Every object has a story to tell. Who knows? Maybe your furniture will be in a curator’s hands one day! Posted in Behind the Scenes at Banting House.Tagged Art, Artifacts, Banting, Collection, Dear Dr. Banting, Documents, History, Letters, Museums.